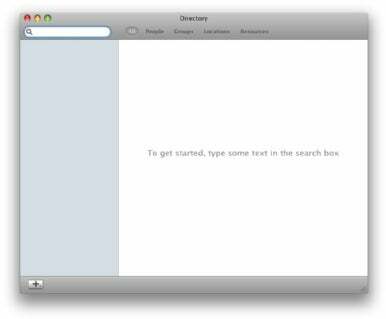 With the release of Mac OS X 10.5, Apple introduced an application called Directory. 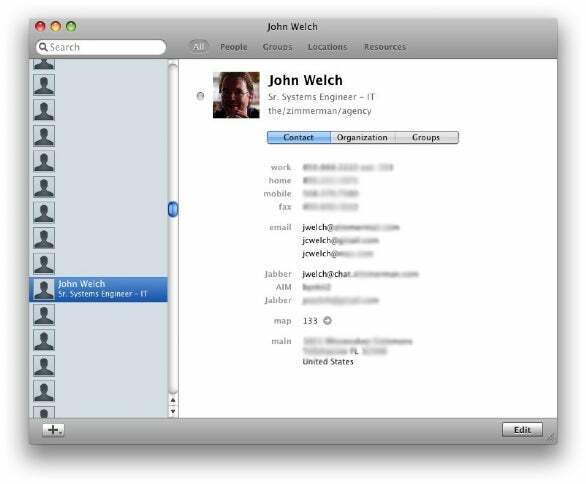 Designed to work hand-in-hand with Mac OS X's Open Directory service, Directory provides information similar to Address Book, but greatly expanded. 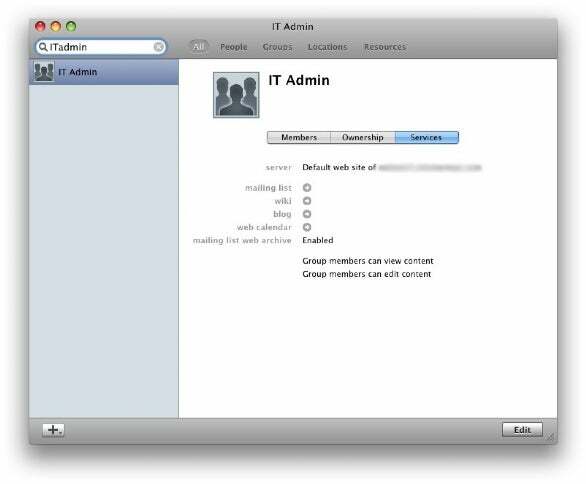 While Directory was problematic when Leopard Server first appeared, Apple has updated the application to become quite handy. Here's a primer on how to use it. "Where's the new guy's office?" "I'm the new guy, where's your office?" "When's the main conference room free?" "Is anyone using the portable projector?" These, and others, are questions asked every day in any company big enough to have multiple hallways or floors. While none of the issues behind these questions are particularly major, they're what I call "being nibbled to death by baby ducks", because they just cause minor moments of annoyance and frustration throughout the day. 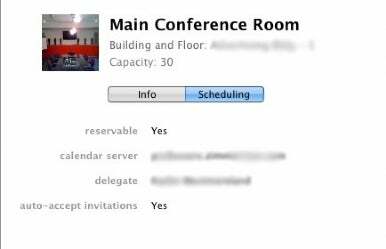 In order to use Directory, you need to be running Apple's Open Directory, a feature of Mac OS X 10.5 Server. If you are on an Open Directory network, then fire up Directory, and we'll talk about what you can do with it. Right away, you can get a basic idea of what Directory is for: It lets you better access people, groups, locations, and resources on your directory, in a useful and fairly intuitive manner. Not only can you see who's in a group, but you can find out if that group has a wiki, blog or calendar, the access rules for those items, and links to each of those items. By now, Address Book looks pretty anemic. These happen to be PNGs I built from blueprints, but you can also insert Google maps or other images. 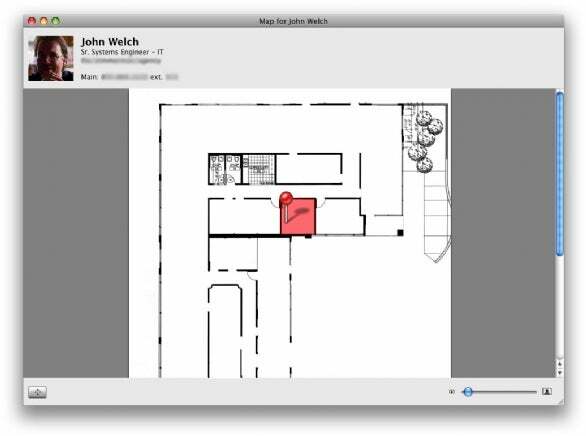 You can add maps for conference rooms, printers and other shared resources. Getting that information into Directory isn't a huge hassle for the IT department, either, because one of the principles behind Directory is self-service. 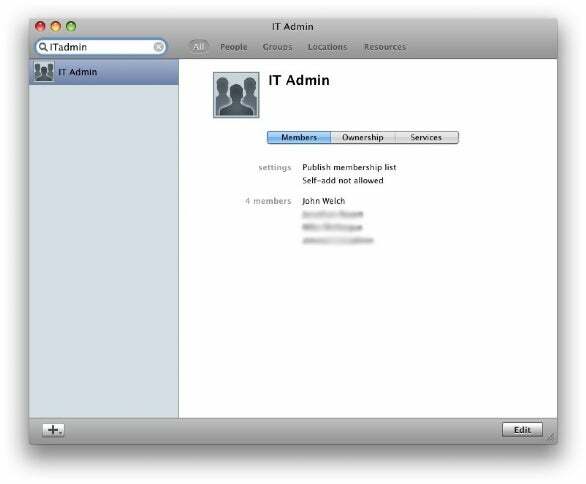 For example, in my contact info, I only entered one e-mail address directly into my Open Directory record. Everything else was added in Directory: other e-mail addresses, phone number, even a picture. All the locations and resources, company name, job titles, manager names and direct report info was added in Directory. 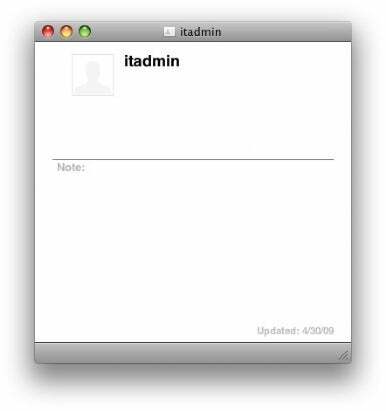 Mac OS X Server Admin tools didn't have to be touched. Directory's also pretty smart. For example, while non-admins can change their picture, add phone numbers and e-mail addresses, they can't change their job title, or department. Nor can they change information that was directly entered into Open Directory. Self-service is nice, but you don't want it becoming an administrative nightmare with people suddenly promoting themselves to CEO, Grand High Mucky-Muck or other more imaginative titles. At my company, Directory has become one of those odd little applications that we used to illustrate why we were moving people from Mac OS X 10.4 to Mac OS X 10.5, and people have really latched onto it as a way to keep from having to deal with extension/email lists that are never accurate for long, putting in additional contact info, etc. If someone changes offices or titles, or anything that's in Directory that the user can't change, I get an email asking me to make sure the info is updated. So if you have an Open Directory infrastructure, give Directory a try, it just might surprise you.